We offer a valet service. RTA access from Health Line on Euclid Ave. 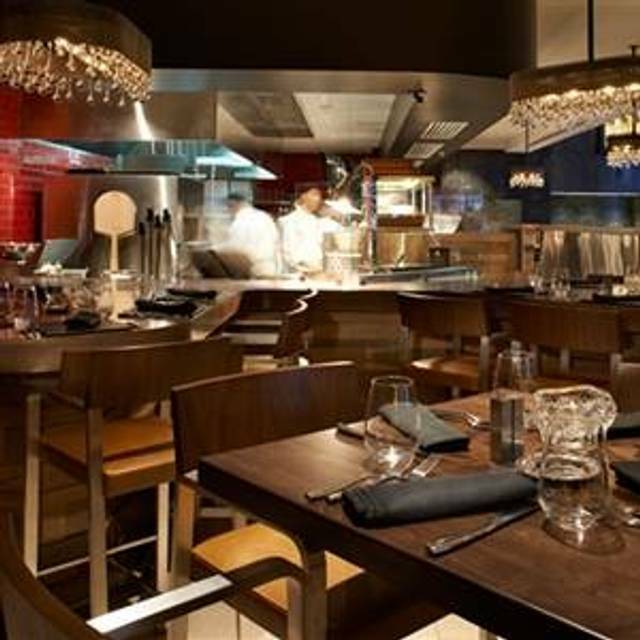 Enjoy an elevated dining experience at Cleveland's best restaurant, Adega. 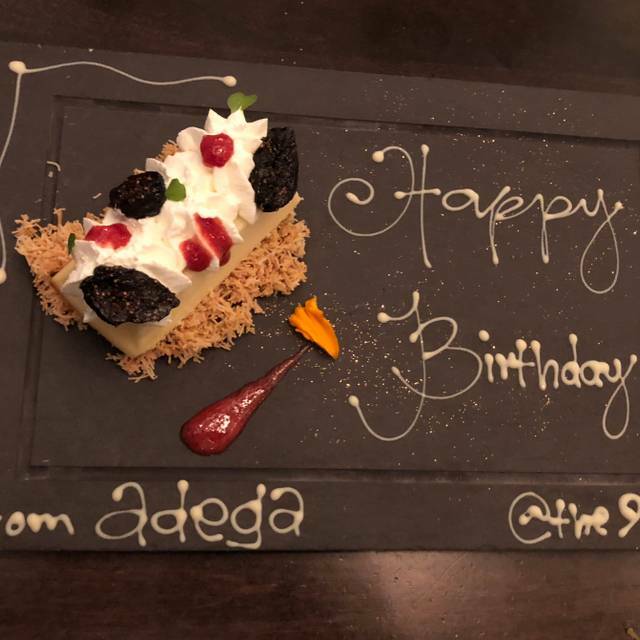 Adega has a modern showcase of fresh Mediterranean-inspired cuisine made with the finest local and international ingredients. To complete this truly unparalleled experience, the restaurant's centerpiece is a stunning glass wine vault. Wonderful atmosphere! Food was delicious and Saul was a perfect waiter! Hello Kimberly, So glad to hear you enjoyed your visit to Adega. 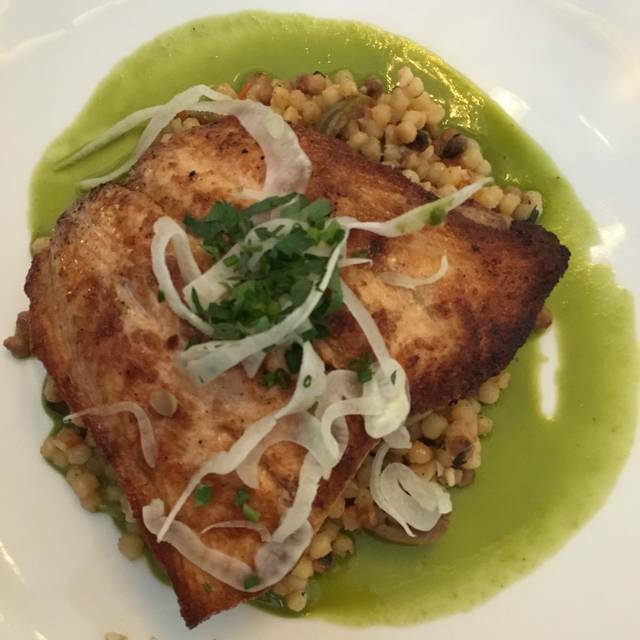 We hope to see you back soon for dinner again. Thank you. Jay was an excellent server. He took the time to go over the menu with us since it was our first visit. We enjoyed our meals. Hello, we have to agree - Jay is an excellent server! 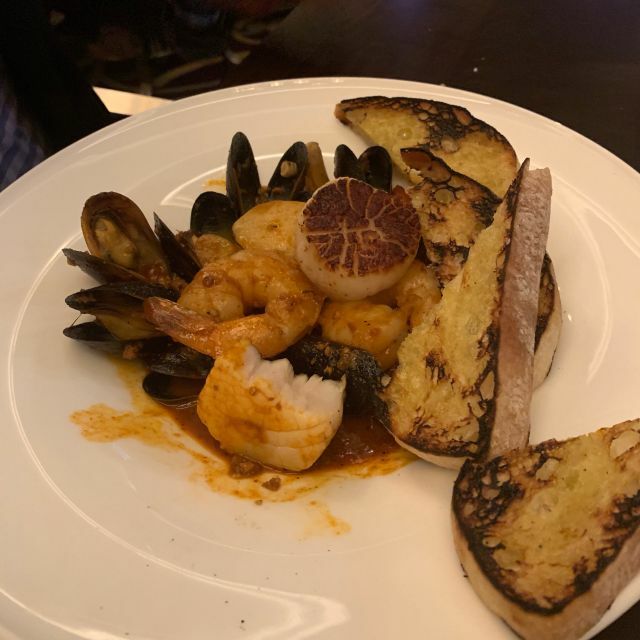 Thank you for joining us for dinner, we are very glad to hear you enjoyed your first visit. Hope to see you back for more. Thank you for leaving a review. The hostess, manager and wait staff were very friendly and professional. There is a nice selection of gourmet dishes to choose from, and an amazing wine collection on display in a glass case. We enjoyed the mozzarella cubes for our appetizer, which have an especially delicious sauce, and the candied walnut, apple and arugula salad. 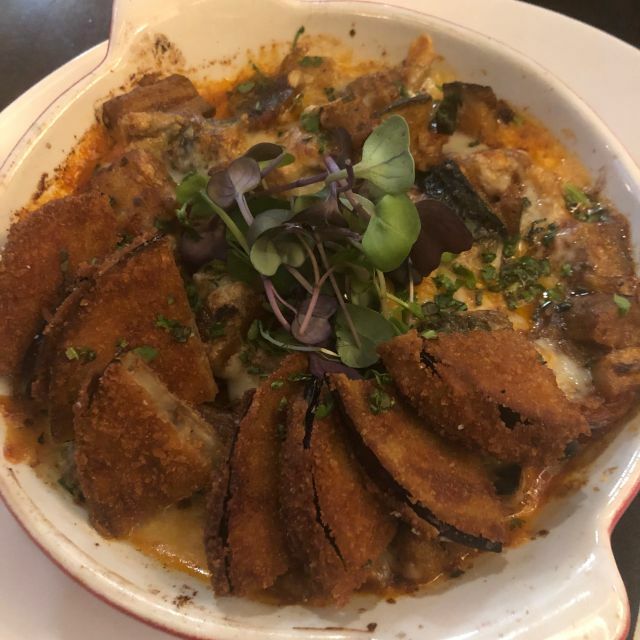 I ordered the Vegetable Moussaka, which was beautifully prepared, but unfortunately, was too spicy for me. The manager offered to bring me something else at no charge, and when I declined, took the item off the bill, even though I assured him the fault was mine. Our waiter William was attentive and personable. Overall, we had a wonderful experience here and I highly recommend it. Hello Kathleen, What a wonderful review! It sounds like you had an amazing meal. 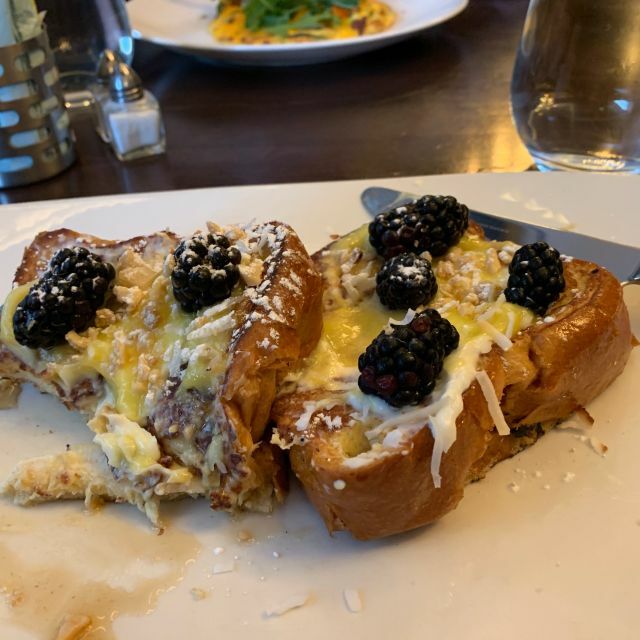 We will always be understanding of our guests tastes and preferences and do what we can to ensure you love every bite of your meal. Thank you for leaving a review. My boyfriend and I made reservations at Adega because it was within walking distance to Keybank State Theater. We had tickets to a show and didn't want to have to drive or walk too far from where we would be eating. We were extremely pleased with the service and overwhelmed with the food. The bartender recommended and appetizer that was delicious. Our waiter was very knowledgeable about all items on the menu and made excellent recomendations as well. We enjoyed everything. Hi Traci, thank you for visiting us before going to the theater. Very glad to here you enjoyed everything. We hope you return again, and we will be sure to recommend some new things to you. Thank you for leaving a review. The service was amazing and the food was outstanding! Hi Catherine. Thank you for the wonderful review. Hope to see back in Adega soon. Service was slow. Food was good. Not sure if I would want to try another time. Overpriced wines and entrees. Would definitely go back for an appetizer and a drink and will recommend it to friends. However, my husband and I didn't think the food was anything outstanding and portions were small for the prices paid. Desserts were the best part...well made and excellent. I will say it is the new "in" spot. The hummus app was outstanding along the the NY strip - can't wait to go back! Horrible wait time to be seated after making & confirming the reservation. Also long wait time to get started with the service, get menus, & finally get the first round of cocktails. Good food though. Charcuterie Board & pastas was good. Service was spotted. We were served our main course before the salad we ordered. Lots of drunk Cleveland Indian fans (opening game), which change the restaurant environment from a fine dining experience to a sports bar mentality. However the quality of the food was excellent. Restaurant staff had a hard time managering and service was poor. Food was delicious, this was our second visit. The service left a bit to be desired...took way longer than normal to get beverage service. Drinks are pricey, so beware. All in all, we would go back a third time. Both meals were great. The food and service were outstanding! Everyone loved their meal, and the ambiance is so lovely. I always enjoy meeting with my client, Medical Mutual at Adega as it is the perfect atmosphere and location. Rick (Manager) is an absolute delight and I can't recall the name of our server even though he told me twice, but he was very accommodating and pleasant as well. No complaints, no recommendations for any type of improvement, everything is 100% perfect! Keep up the great work! Had a work group for dinner - everyone really enjoyed it. The waiter was incredible - Dan. He had the backstory for everything and really knew the menu options. The meals were excellent, one guest said everything just tastes so fresh. Great flavors, really fresh food, enjoyed the salmon, pasta with shellfish, bolognes and chicken. Really a great experience. Can’t say enough about this place. 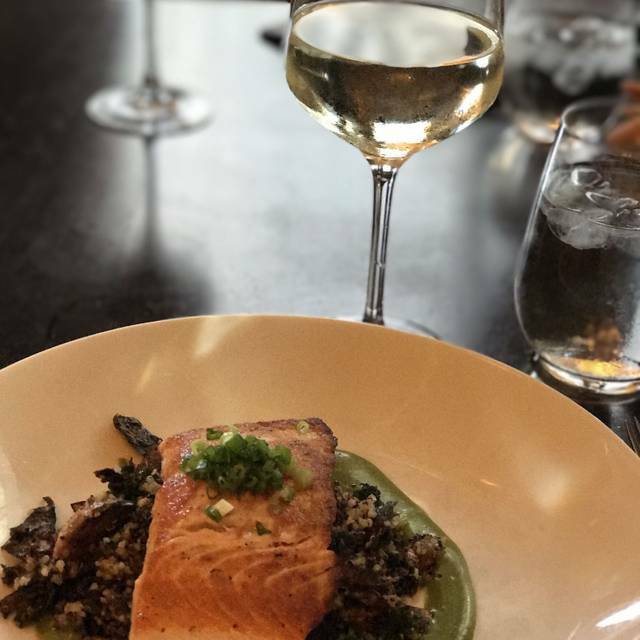 Our server was not only extremely personable but very knowledgeable about the food and wine list. Food was very creative and plated beautifully. If we lived in Cleveland this would definitely be a go to place. We had a big party of 19 people and they were able to accommodate us in our own room. Mo, our server, was great!! He made sure we were all "comfortable" all throughout the night. Food was also great!! About 90% of our party had the chicken which he did a great job explaining how the chicken was prepared since it was different than what most of us had before. The only thing I wish we had was a low level of background music in the room. Nice meal before show at Playhouse Square. Excellent food and Mo provided great service! Wonderful experience and we will definitely be back! The service was fantastic, and the food was delicious. I am a vegetarian (and my husband is not), and they were very willing and able to accommodate me. Do yourself a favor: Order the mushroom hummus for your appetizer or a munchie before a Playhouse Square show. It's devine. Thoroughly enjoyed celebrating my St. Patrick's Day birthday at brunch. Great service from the hostess, manager and my server, Sean. Sean recommended the Braised Lamb and it didn't disappoint. I will definitely return! Great service! Brought my daughter for dinner before a play and it was delicious. We got to relax and catch up with each other! Great dinner after a great show! We had a wonderful experience and the service (Jay) was outstanding. Delicious food in a quiet environment. I took off one star because our service was erratic. Excellent food and service! Had a large and diverse group and they had options for everyone. Had brunch, ordered Crab benedict, very little crab on the plate. Our server was not very friendly....we felt like a bother to him. We all ordered the chicken dish and mine came out with blood on my plate and was told it was cooked but the way it was cooked it can make blood come out? I then asked for something else to replace it but when the bill came I was charged for both the chicken and the dish I got to replace the bloody chicken. When I complained about being charged for both dishes they only took off the replacement meal....which was $7 or $9 versus the $29 bloddy chicken dish . The manager did come over and apologize but the overall service from our waiter was terrible. The restaurant itself was beautiful and the hostess up front was very pleasant. we enjoyed our dining and especially the waiter MO . very knowledgeable and helpful with our selection of tea and he was just wonderful. Sean, our server, was simply outstanding, above and beyond expectations. Everyone is all so friendly and accommodate us with open arms!!!!!! Steaks and Brussels sprouts were excellent!!!! One of the nicer eateries in downtown Cleveland. Great food, drink and ambiance at a reasonable price. Great change of pace, if looking for unique foods with great taste and flavor without being too strange. Staff go beyond what is asked of them! Definitely for that special evening! The wait staff was very attentive and thorough, however, the descriptions of food were a little overboard. The dishes were tasty, but not as awesome as described. I had one of the fish dises which was served with the head and tail sliced off, but on the plate--I'm not sure why. My husband had the chicken which he described as lackluster. 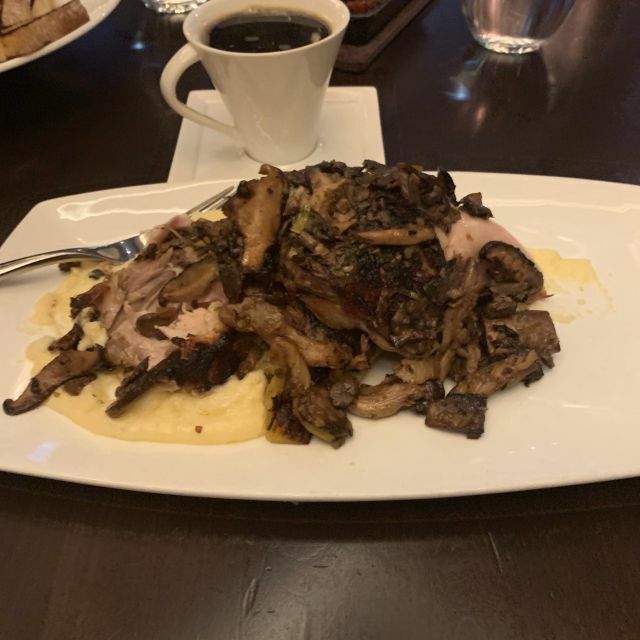 The exception was the $45.00 pork dish which my friend described as "the only thing she would ever order there from now on," because it was so wonderful. Everything is ala carte, which adds up the charges. The sides, brussel sprouts and quinoa with mushrooms were of ample portion, but also very heavy and filling. Overall--the dining room is very pretty and we were treated very nicely. It was a amazing evening for my 24th birthday! I enjoyed the service from Will and his team you guys definitely made my night. Definitely expect me to come back! We had a very nice time. The only problem was that we had told the hostess twice that we had theatre tickets and I just assumed the waiter knew. We arrived about 4:50 and we did not get our dinner until about 5:45. The play started at 6;30. Service was slow. Butternut squash soup, hummus were fantastic. Cocktails just ok. Rest of food good. Dessert poor. Trying to get in valet was a mess. Cleveland policeman directing traffic could not have been ruder- reflected horribly on city with nasty attitude. Upscale, modern atmosphere. 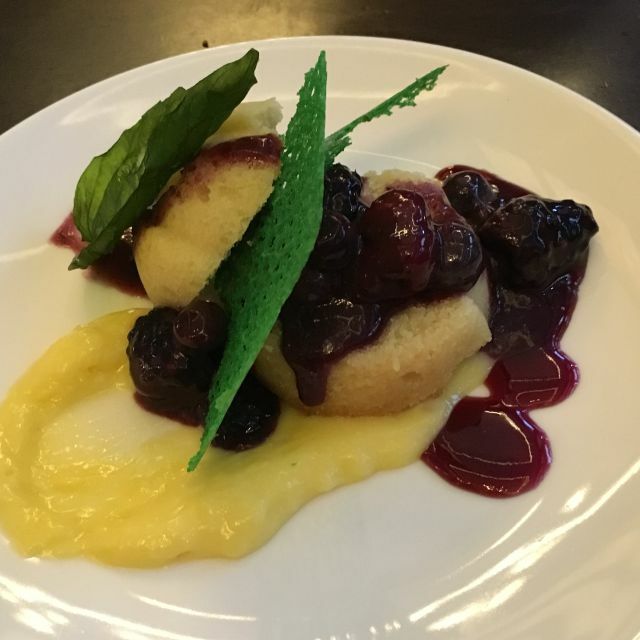 Delicious food, attentive service. Great experience, will definitely go back.